JD secured over 50% market share, Honor and Xiaomi took a lead by sales volume. 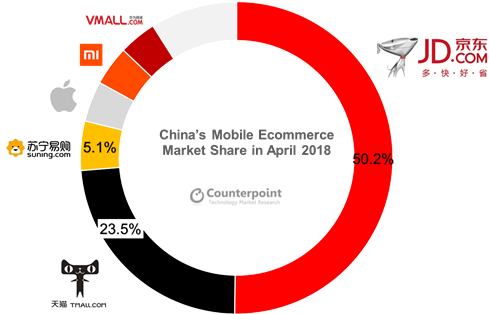 According to data from Counterpoint’s Channel Monitor service, China became the world’s largest mobile e-commerce market in 2017, with more than 120 million mobile phones shipped to customers through e-commerce channels during the year. In China, e-commerce channels account for nearly 30% of the mobile phone market. 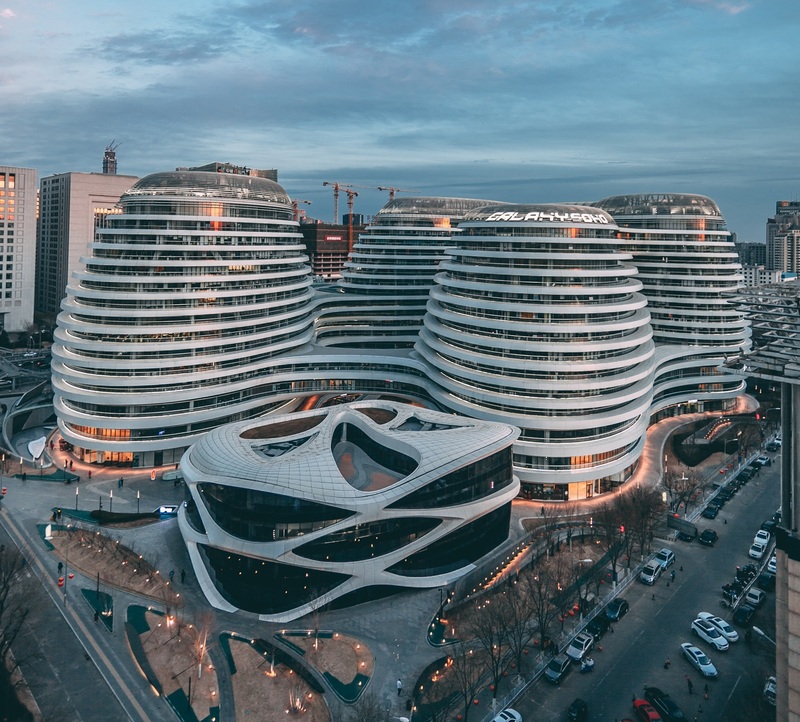 In big cities like Beijing, where e-commerce is highly developed, this number is more than 50% and continues to grow. In terms of competitive landscape among e-commerce channels for mobile devices, JD. com and Tmall are the biggest e-commerce players. JD. com has attracted and retained many online mobile phone users through its consumer electronics e-commerce brand channel concept, that it has established over the past few years. JD. com also continues to expand its territory through the acquisitions of Yi Xun and YHD. As the most complete e-commerce platform, Tmall has established good recognition among mobile phone users. The top three e-commerce platforms (JD. com, Tmall and Suning) took a 78% share of the overall mobile handset e-commerce market. We expect to see some internal structural changes in these platforms in the future, but overall, they are relatively stable. JD. com gained popularity among large vendors like Apple and Huawei, as well as smaller players such as OnePlus and 360 Mobile Phones, by acquiring other platforms, increasing marketing spend and improving service efficiency. According to Counterpoint’s data, the mobile phone shipments of JD. com reached close to 60 million in 2017. JD saw better sales results in the mid-to-high end mobile phones in April, especially the Huawei P20 series, while Tmall performed better in terms of low-to-mid-end mobile phones. In addition, the third-party stores on the Tmall platform saw even better sales results and they were widely welcomed by many vendors and stores. Branded mobile phone stores have become an important part of the ecommerce landscape. Among them, Apple, Xiaomi and Huawei’s Vmall were the best performers, taking a combined more than 10% market share. When Apple launches new iPhones, the Apple online store sees a strong uptick in activity from customers. In the “others” category, we find a large number of small installment ecommerce platforms. New entrants such as Pinduoduo and JMEI still have a long way to go. The top four brands (Xiaomi, Honor, Apple and Huawei) account for 65% of the market. Apple and Huawei saw better sales results on JD. com, while Xiaomi and Meizu performed better on Tmall. Meizu remained in the fifth spot with the popularity of the Meizu Metal. Apple led the market by sales volume in April, thanks to a greater than 7% discount of iPhone 8 and iPhone 8 Plus in ecommerce channels. As April was the first month for Huawei to unveil its P20 Series, it launched a number of online advertising and customer inflow promotion activities in e-commerce channels, especially with JD. com, which helped to rapidly increase its sales volume. Xiaomi also stimulated its sales growth in April by putting more promotion efforts in e-commerce channels, especially with Xiaomi’s branded website and with Tmall, for its low-end Redmi 5A and Note 5, as well as the flagship product Mix2s. Surprisingly, OPPO saw a rapid increase and secured the 10th spot with its new flagship product R15, although it was seldom promoted in e-commerce channels. The Top 10 bestselling products took more than a third of the overall e-commerce market. High-standard and oligopolistic competition: JD and Tmall have already set a very high standard for ecommerce channels and services, therefore, it is difficult for foreign players and other large players to expand their territory in China market. For example, Amazon can hardly reach the service standard of second-day delivery set by JD. com. Competition on price for now and value for future: After years of e-commerce shuffle, we expect e-commerce platforms will put more efforts into improving services and added value. Precision marketing shifts from a marketing gimmick to a basic configuration: More and more ecommerce platforms will leverage their own platform data and learning capabilities to combine social and communication resources. In order to achieve real precision marketing, these platforms will use precision algorithms, data mining and AI technologies to provide customers with intelligent and accurate recommendations. This will enable vendors to communicate more effectively with customers. Cross-border ecommerce: As consumer behaviour changes over time, cross-border services will become a new growth point. Combine offline resources with online channels to achieve synergy effects: The ecommerce platform must integrate offline resources to complement and support each other. The global ecommerce platform is advancing towards becoming an ecosystem. For example, Amazon sells not only goods, but also book content, intelligent hardware, etc. Going forward, China’s e-commerce platforms will shift focus from sales of purely physical goods to omnichannel + services + virtual goods operations. 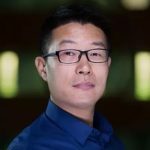 New players on China’s e-commerce platform: Although it is very difficult for new players to enter the China market, there are still opportunities to exploit new market segments, such as second-hand and installment-payment segments.